Architects: Here Are The Best 6 WordPress Templates! As an architect, having a personal business website becomes important when you want to showcase your growing your own portfolio. We have searched the internet for you, and we have compiled a list of the best architecture WordPress templates available today, suitable for every architectural niche. A very clean WordPress template specifically designed for architects or construction companies. With its powerful admin panel, you will be able to customize and modify your online presence according to your wishes. Architect WordPress Theme is SEO optimized and comes with a fully responsive design. Arche is a responsive and elegant WordPress theme, perfect for any architectural business. Created for designers and planners for the sole purpose of showcasing their work, skills, and talents. This template is based on Bootstrap and offers SEO optimization, page builder, powerful admin panel and many other features to promote your work. Arc covers all of the needs of an architect. This is a contemporary theme with a beautiful design, and carries the best of features and customization alternatives. It comes with two homepage options, six custom widgets, easy font type customization, two project page options, cross-browser support, and lots more. Rayleigh is a great theme for architects as well as designers. Its full-screen home slider catches the attention of visitors instantly, and the animated menu adds more spice to the attractive display. 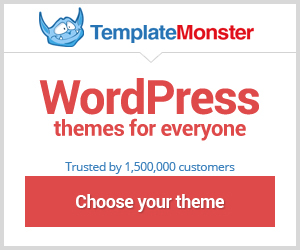 This WordPress theme comes loaded with many features and customization alternatives. It is very clean and sharp with all the requisite attributes included. This theme has eight page templates, an animated menu, a dynamic page, post Meta boxes and so much more. See Arctic here. This theme is packed with great aesthetics and functional features which provides you with complete control over your site. It comes with a responsive layout, fifteen custom visual composer elements, five custom widgets, font awesome integration, unlimited sidebars, and that is just to name a few. See a demo of Future Architecture. We have searched the internet for you, and we have compiled a list of the best architecture WordPress templates available today, suitable for every architectural niche.